LHC Group’s home and community based services enable you to maintain your independence in the comfort and privacy of home. What are Home and Community Based Services? What Do Home and Community Based Services Cost? Our caregivers will come to your home or assisted living facility and help with your day-to-day needs. Our dedicated caregivers offer personal assistance with everything from grooming and light housekeeping to transportation and errand running. There’s no place like home for rest and comfort. When you or your loved one needs personal assistance services, we’re available 24 hours a day, seven days a week to help patients and families attain the quality of life they deserve. We are about Person Centered care. Our committed and passionate community-based services professionals deliver high-quality care to patients in communities around the nation. We understand that each patient’s needs are unique, and our team treats our patients with compassion, respect, and dignity. 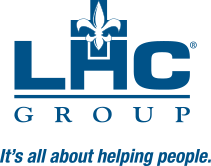 Discover an LHC Group Home and Community Based Services location in your community. Because people are far more than their medical conditions. We are about Person Centered care. That means knowing the people we serve, understanding their needs, and tailoring healthcare to ensure the best journey possible. And are passionately committed to making it better every day. We lead the industry in quality ratings but that is not enough for us. We’re committed to establishing a new standard of clinical excellence and outstanding service in all we do. Because the best care happens where in the context of strong relationships. We empower our clinicians and staff to build the kind of relationships in our communities that ensure quality, consistency, and stability in all that we do. Community-based services are covered through long-term care and some medical insurances, Veterans Affairs, and workers’ compensation. We accept most insurance. Please contact a location near you and we can verify your benefits and what your carrier will cover. Out-of-pocket services range in cost depending on the care you or your loved one requires. Amy shares how home and community based services assistance is impacting her son’s life. How do I pay for home and community based services? What are the benefits of home and community based services? Why personal care can help your patient with the tasks of daily living. How do I know if home and community based services are right for me? Discover support with the tasks of daily independent living. Click here to learn more about your rights as a patient under the new Affordable Care Act. As part of our commitment to you, we have partnered with Krames Online to provide an up-to-date health education library. Use this resource to access more than 4,000 topics related to health and medication.